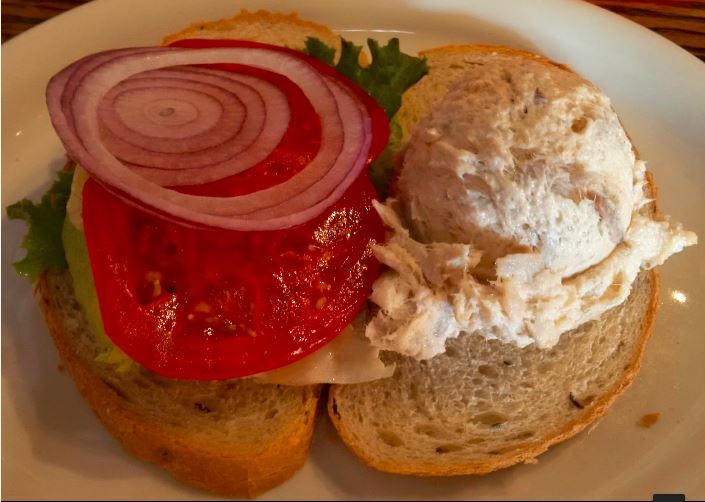 YOU’LL FIND TRUE NEW YORK DELICATESSEN FOOD AND AMBIANCE AT RUVEN’S! Located in the Shops of San Marco at 13800 Jog Rd. Delray Beach. 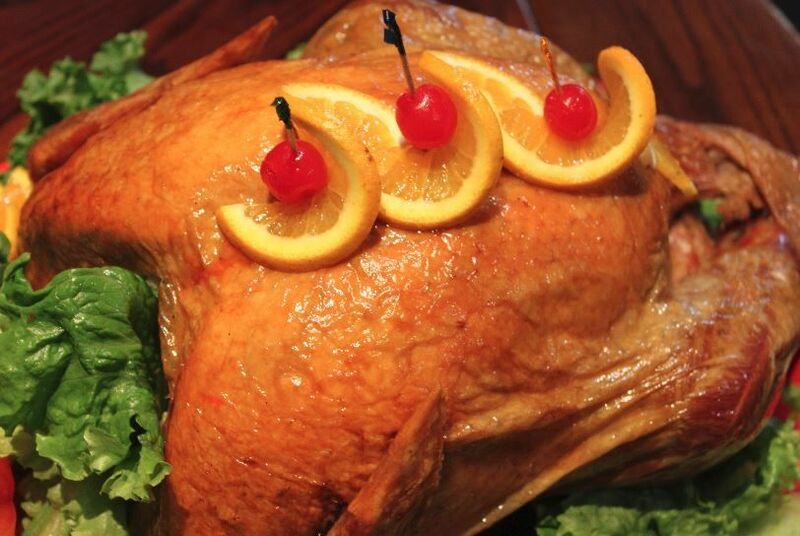 Ruven’s Deli Restaurant offers authentic Ney Your Deli Food you wouldn’t think you are in sunny Florida. It is the place to go for breakfast, lunch, and dinner! Prices are inexpensive you can have a five dollar breakfast. For a good selection of deli sandwich to a three-course meal. Plenty of seating and booths are available, Ruven also has a large takeout section. The waitresses are very friendly and amazingly attentive, the food is always delicious. No reservations needed with plenty of parking in this strip mall alongside Publix. Kid friendly menu is available for little ones. With food that is always fresh and delicious, you can’t go wrong with Ruven’s $10.50 Baked Salmon Salad Sandwich. Ruven’s version is particularly delicious. The salmon is not salty or smoky or bland. Mixed with just the right amount of mayo, it is perfectly smoked. And any deli isn’t a deli without an excellent corned beef sandwich, for $10.95 it is packed! If chicken soup is your thing, you won’t be disappointed with the delicious Chicken Noodle and Matzoh Balls Soup. Make sure to order their tradition Brooklyn egg cream, served in a tall glass. Topped with just the right amount of froth and chocolate isn’t diluted – Ruven’s nailed it to perfection! Their French fries are said to be out of this world. 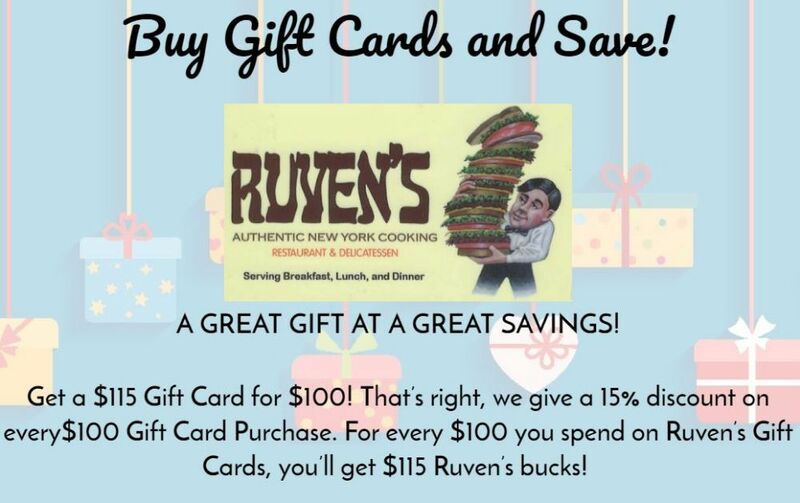 Ruven’s is New York deli done right! 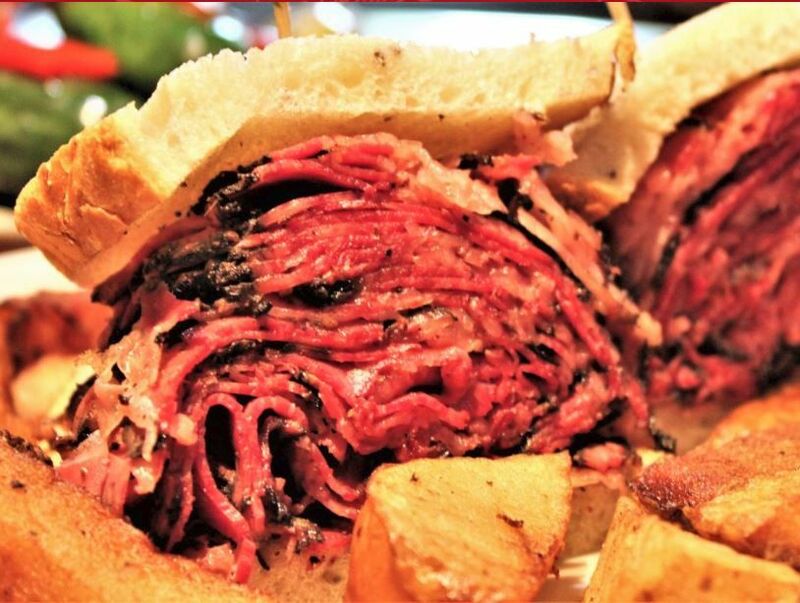 From Pastrami Sandwich, matzo brie, Cornedbeef Turkey, stuffed cabbage, chopped liver to homemade soups Ruven’s offers a wide variety of delicious meals and so much more. This place will bring back memories of delis back in New York City for sure! Ruven's Restuarant is located at 13800 Jog Road. Delray Beach, Florida US. Ruven's Restuarant is a Cafe type of establishment offering authentic US food. In 1984, Ruven's Restuarant began taking care of their customers. Here at the Cafe, the owner, From New York, can be helpful with answers to your questions. For the best US dishes in town, you must give Ruven's Restuarant a try. This establishment is an individual entity, not a chain. Ruven's Restuarant looks very inviting as you walk up. There is no host or hostess here. Please walk in and make yourself comfortable. The attire here is casual. There is no outdoor seating at this location. Ruven's Restuarant serves up a great breakfast. 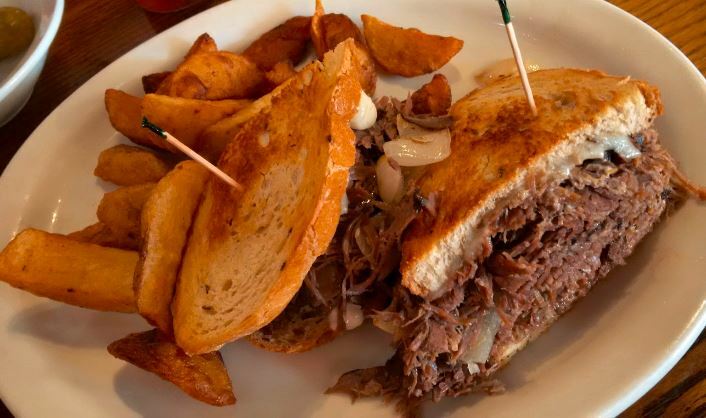 A great lunch can be found at Ruven's Restuarant Looking for a late meal? Ruven's Restuarant can help you out with that. Though not found in the research, this site may deliver or you can contact a delivery service. Take out is offered here. Just give them time to prepare. Catering may be available here. There is no need for a reservation at this location. site is dedicated to providing a clean environment, so you can focus on enjoying your stay. The lighting is fine at this establishment. It is easy to see around. At this site, there are tables with comfortable chairs. You will find booths to sit down at. The noise level here is within reason. There is no dance floor here. Ruven's Restuarant is rated a 5 star establishment. The reviews are in and they are fantastic! Ruven's Restuarant may be the best place around providing new deli style food services. Ruven's Restuarant, offers a large variety of meals for you to choose from. Bring the kids with you. Children are welcome here. Enjoy an intimate night with friends in one of the private rooms offered here. There is no entertainment offered at this location. This establishment does not serve alcoholic beverages. Ruven's Restuarant does not accomodate special events or business events. Ruven's Restuarant site can accommodate your wheelchair needs and meets all proper regulations for entrance, seating, and restrooms (if provided). This establishment offers a combination of affordability and accessibility to allow you access to their services. Easy payment, as all plastic cards are accepted here. There is most often easy parking here and close by. Bicycles are welcome! At this time, there is no Rewards Card programs. There may be a senior discount available however you may want to call ahead. You may want to call regarding a military discount. Yes, children are welcome at this site. Ruven's Restuarant gladly welcomes all adults. Many of the customers here are seniors. Come on by or give us a call during business hours if you have questions (561) 499-9003. This site for Ruven's Restuarant was set up to enhance this client's Internet presence and grow the WebPage Depot online business directory. WebPage Depot is designed for local directories and a full business directory. This free business listing site provides a fully functional website. The WebPage Depot site couples seven social media accounts (if available), google maps, large pictures, a contact us page (protecting the client's email address), a link to the client's original website and relevant Youtube videos. Additionally, we write an original text Welcome Message. WebPage Depot does make some assumptions, trustingly, for the benefit of the client. We write everything from a positive aspect. Our goal is to move-up the visibility/ranking on this site to the highest level possible. Improvements to ranking come with additional relevant content. To continue this effort, we will need information from the client, i.e., menus/list of services, specials, current pictures and videos and additional text for the Welcome Message.